Do you know what? I really don’t care if Cinco de Mayo is not truly a celebrated holiday in Mexico and seems to be more of an invention of the U.S. I am just too darn happy to have a reason to enjoy some good tequila, take a bite of a spicy enchilada and end my meal with a couple of zesty lime cookies. 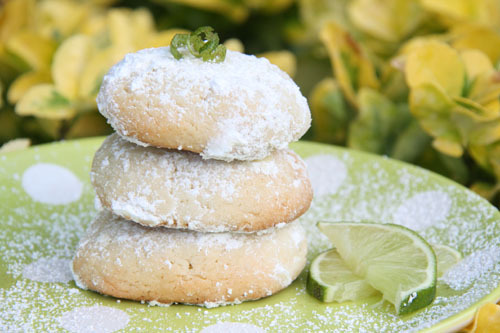 Categories: Cookies | Tags: Cinco de Mayo, lime cookies, Lime sugar cookies | Permalink. These bright and cheery low-fat Strawberry Lemonade biscuits, which I served up with local orange blossom honey and a slab of melted, dripping butter, were just the ticket to a “we have to stay home and study AP US History” kind of Sunday. 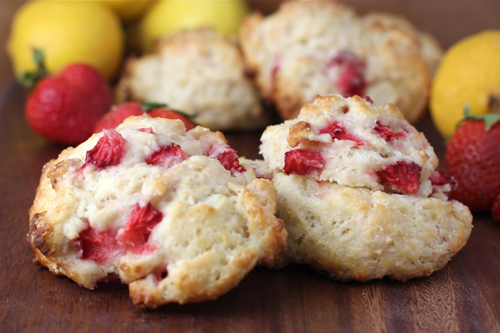 Categories: Bread, Breakfast | Tags: low-fat buttermilk biscuits, strawberry biscuits, strawberry lemon biscuits | Permalink. These fish tacos, served up with marinated cabbage, mango salsa and avocado crema were as good tasting as they are looking, BUT getting them to look pretty for the camera was a whole other ball game. 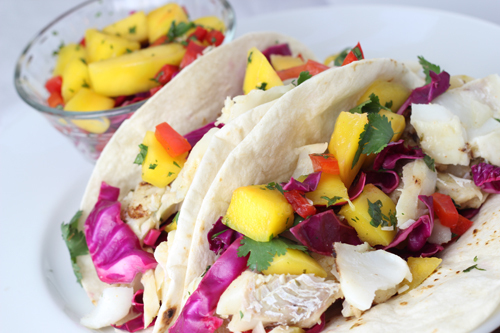 Categories: Fish, Main Dishes | Tags: avocado crema, grilled fish tacos, mango salsa | Permalink. “Are you self-hosted? How do you deal with lighting issues? Have you had your blog custom designed? I get my cool plates for food staging from thrift shops around my house for $1!” Although my fellow L.A. bloggers and I were there at lunch to discuss the upcoming bake sale for the Great American Bake Sale for Share Our Strength, we all had pressing issues on our minds. 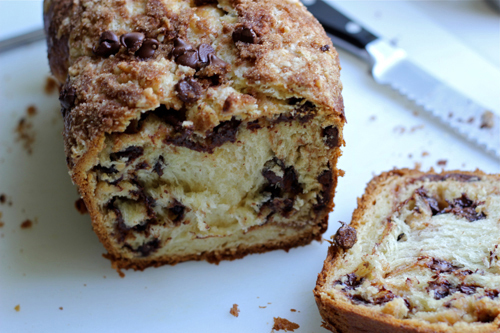 Categories: Cakes, Chocolate | Tags: Chocolate Chip coffee cake, Martha Stewart's Yeasted chocolate chip coffee cake, yeasted coffee cake | Permalink. Parsnip is the new carrot….didn’t ya know? My sister-in-law introduced me to this very versatile and sweet root vegetable and I have been in love ever since. 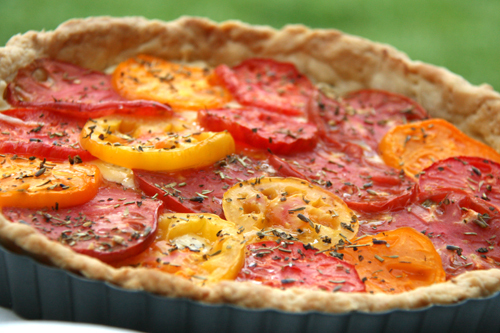 They can be roasted, plain and simple with olive oil and salt and pepper or boiled and then pureed as a delicious and healthier substitute for mashed potatoes. Or…they can shine in all their glory in this soft maple spice cake. 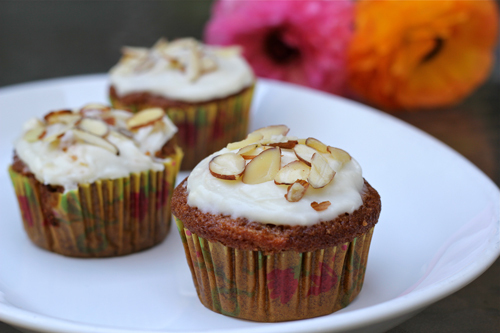 Categories: Cakes, Cupcakes | Tags: easter dessert recipe, maple cream cheese frosting, Michel Richard parsnip cupcakes, Parsnip cake, parsnip cupcakes, spice cake, Sweet Magic cupcakes | Permalink. Like my cake, this post is a bit of a mess. Sometimes I just don’t think linearly. 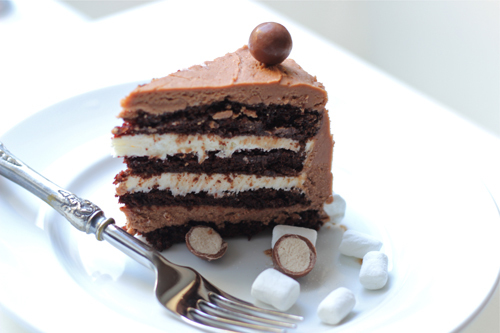 I know, the rich and chocolatey S’mores cake looks just fine, even delicious, BUT it definitely had a rough start. The crazy baker who had gotten up at 5:00am to frost it was still a bit sleepy. She had not had her coffee and she was doing dangerous stunts with the serrated knife and muttering to herself while burning her finger tips on the freshly broiled marshmallows. It may have been the morning of the birthday party. This idiotic baker may not have planned ahead quite as well as she thought. Categories: Cakes, Celebration Cakes, Chocolate | Tags: birthday cake, chocolate malted cake, marshmallow frosting, S'mores cake, Sweetapolita S'mores cake | Permalink.